You can eat them raw or dry, boiled into tea or converted into powder, or swallowed "bombed" in wraps. The physical effects, which appear within 20 minutes of ingestion and last approximately 6 hours, include nausea, vomiting, muscle weakness, drowsiness, and lack of coordination. 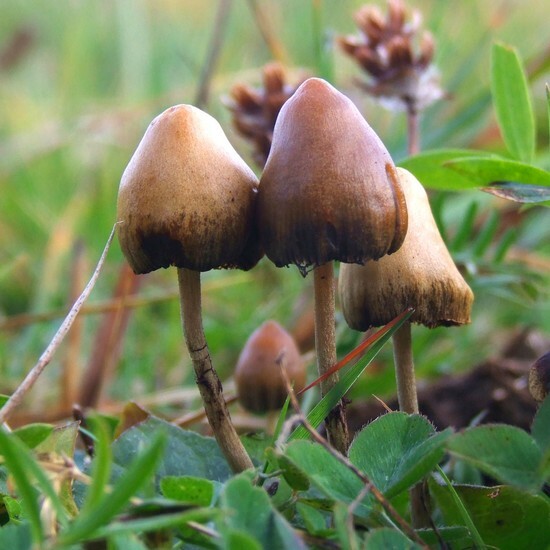 Psychedelic mushrooms are also known as shrooms, magic mushrooms, caps, blue meanies, boomers, mushies, and liberty caps. There are no scientifically proven long term effects of shrooms, but taking shrooms for a long time could change your perspective on everything. The mushrooms mix up your senses, so you can "hear" colors, and "see" music. There was one case in Marion where houses and apartments were turned into shroom farms. Luckily, the police found out and were able to destroy it. Each year, Marion only has around one or two cases of shrooms being distributed. If you distribute shrooms, more than likely you will not get jail time, just a small fine around $300. If you take shrooms, the punishment is usually jail time, but it usually ranges from a only a few days to 30 days. You can contact the Marion Police Department at (319) 377-1511. You can also talk to a counselor at your school. Finally, you could call the HSE Drugs & Alchohol Helpline at 1-800-459-459.